Universal Audio's latest software release, v9.7 for UAD 2 co-processors, Arrow, Satellite and Apollo systems includes a firmware update for the Apollo X interfaces that makes them compatible with Late 2013 Apple Mac Pro cylinder computers. More excitingly, however, it also brings five new plug-ins. The star of the show for most users will be the officially endorsed Lexicon 480L digital reverb, but the other new plug-ins are also heavy hitters in their own right: Softube Vocoder, AMS Neve DFC Channel Strip, Brainworx bx_masterdesk Classic and Suhr SE100 guitar amplifier. 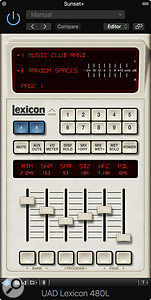 Universal Audio UAD 9.7 - Lexicon 480L plug-in.The term 'industry standard' is somewhat overused these days, but it really does apply to the Lexicon 480L. Back in the day, there were few high-end studios that didn't have its LARC controller perched on the console somewhere — and many still do. Despite the advent of newer technologies such as convolution, the 480L still remains a favourite because of its unique sonic character. 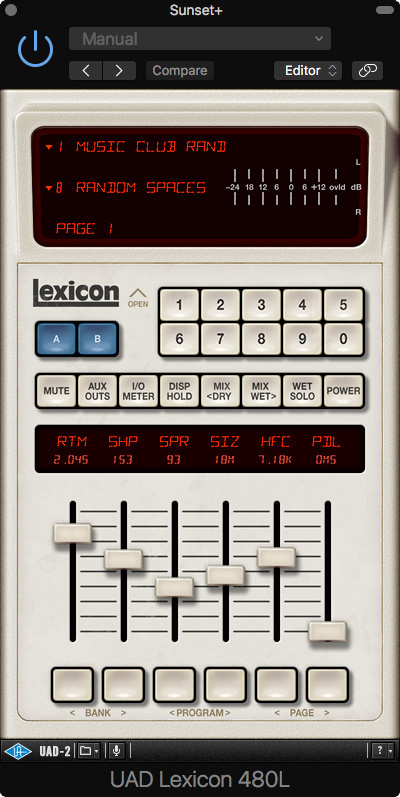 A significant part of the 'Lexicon sound' is the use of modulation within the feedback paths of the reverb algorithm to add density and complexity to the sound and avoid resonant frequencies piling up. Lexicon 480L £260; Softube Vocoder £149; AMS Neve DFC Channel Strip £229; Brainworx bx_masterdesk Classic £75; Suhr SE100 £115. Prices include VAT. Lexicon 480L $349; Softube Vocoder $199; AMS Neve DFC Channel Strip $299; Brainworx BX_masterdesk Classic $99; Suhr SE100 $149.